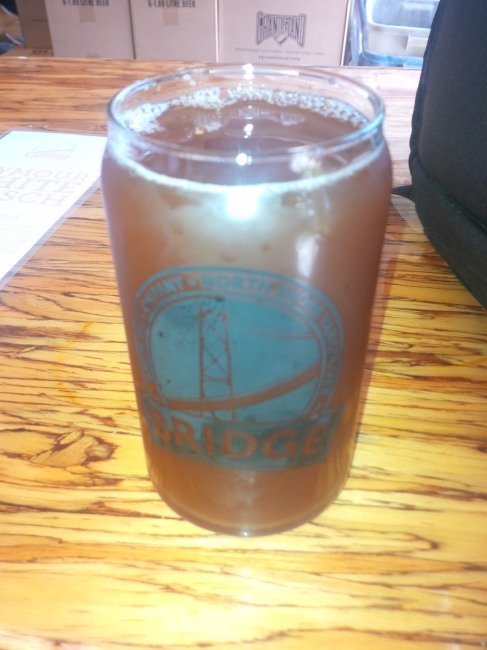 I happened to be passing by Bridge Brewing Company in North Vancouver after a hike and stopped in for a glass of beer. 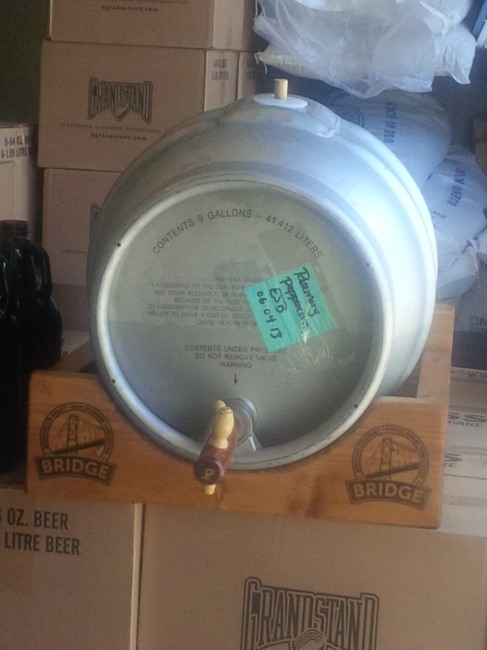 To my surprise I was greeted by a cask sitting behind the bar at the brewery! The cask in question was a “Rosemary Peppercorn ESB” and as the name suggests it was very interesting! The ESB poured a reddish/orange colour with very minimal head. The aroma consisted of fruit, piny rosemary, floral hops and maybe a bit of apple. The flavour was of fruity (maybe apple), rosemary, pine, peppercorn including a mild pepper spice and some earthy cedar. The alcohol content of this beer is 4.7% and the IBU is 26. This beer was very experimental and worked in every way possible! I wish the bottled this and sold it everywhere. I would be a regular! This entry was posted in Extra Special Bitter and tagged apple, bc, beer, bridge brewin, canada, cedar, earthy, esb, fruit, fruity, north vancouver, pepper, peppercorn, pine, piny, rosemary, spice, spicy, wood, woody.